This week, MEE hosted University of St Thomas Materials Science students in our laboratory. Students toured our metallography and light microscopy labs and were presented a brief introduction to scanning electron microscopy. 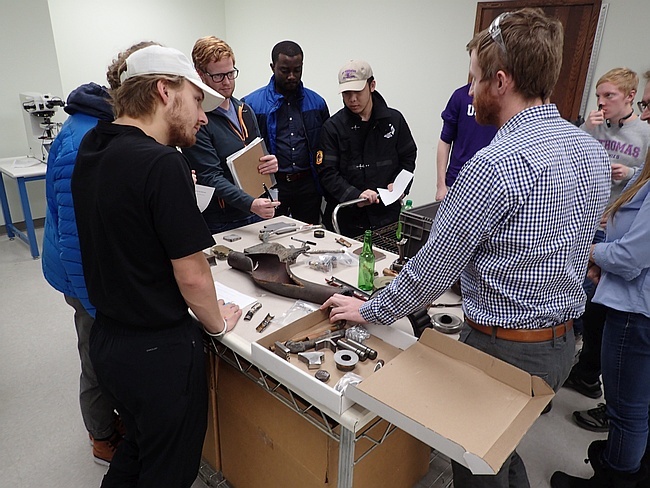 Staff engineer, Neal Hanke, arranged a display of some representative failure analysis projects to demonstrate the range of materials and failure modes we have investigated in our lab.